Today’s post is a rather spontaneous one, I think I came up with the idea of it in the shower this morning actually, funny how all your ideas seem to appear whilst you are washing your hair huh? I am currently balancing final year – which consists of HEAPS of coursework, alongside a 15 hour weekly job, *attempting* to keep up with the blog, as well as YouTube, plus fitting in a long distance relationship, whilst trying as hard as possible to have some kind of a social life / chill time. The answer to the above question is…. I DON’T. (I guess they don’t read my rants on my blog about struggling really quite badly this year) But I am quite good at covering things up, and making it seem like things are all ‘fine and dandy’… I guess that is because I am kind of used to it… for the last 2 years or so I have been really good at covering up my OCD compulsions, it is easier that way. 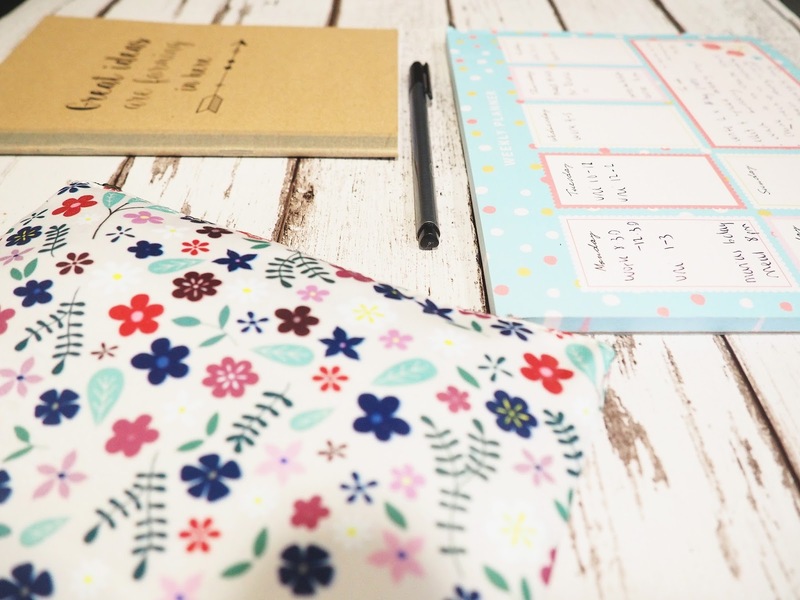 Anyway, that is not what this post is about, because I could seriously ramble ramble on all day about the struggles of keeping up with everything at the moment, so I thought I would talk about what can be done to manage hectic, busy, life situations. Those situations where you just feel like you are too exhausted, and overwhelmed, that you just aren’t getting ANYWHERE, like you have hit a brick wall. AKA, my complete and utter life at the moment. Saying that, these things have really helped me recently, and COR, you know I love a good list. Writing out your weekly plans can sometimes be quite overwhelming, it can make you feel rather uncomfortable seeing how much you have on. On one hand, due to this, it can heighten your stress levels. But on the other hand it is also an excellent way to visualise your up and coming week, therefore making it easier to see when YOU DO in fact have a gap to fit in whatever you feel is necessary at the time! For example, when can you have fun time? And when do you need to concentrate? I have really been loving my Busy B Weekly Planner Pad* because of the above reasons. Each sunday evening, I sit down and write out my week ahead, it usually is pretty much the same during the day, but changes during the evenings. I find this activity rather soothing, plus it allows me to think about the week ahead, I must say I have been rather forgetful recently, getting myself confused about when events are happening – but this has really helped with my organisation, plus Busy B have the prettiest designs – I need EVERYTHING on their website! This is something that I have really been trying to do since I have been back at Uni actually… a good 8 weeks now… safe to say, it is harder than you think.. but I still want to try. In the ideal world I would like to set aside a day a week to put all my energy into my dissertation, a day a week committed to blogging, etc etc you get me. Next week I am attempting to use Tuesdays as my ‘blogging day’. A day where I can take my photos, and write up my two posts for the week, to be scheduled for Wednesdays and Sundays. I would LOVE THIS. Thursdays and Saturdays will be my core design module days, and Sundays will be my dissertation days. WOULDN’T THIS BE GREAT?? But life doesn’t really work like that, deadlines crop up, a friend asks to have lunch with you, and you just don’t stick to the plans, even if you really want to. The word ‘realistic’ in the above heading, is really important. I am TERRIBLY guilty of writing heaps of to do lists, cramming them with everything I need to do in life at that very moment in time. I have found that these lists, just make me more stressed, and I just don’t get anywhere with them. To resolve this, recently I have been writing a brand new to do list each morning in my That Lame Company Notebook*, with all of the things I would like to achieve that very day. In a realistic way of course, obviously you would love to achieve all sorts in one day, you know, conquer the world, but that just isn’t all achievable in one day and sets you up for disappointment. You only beat yourself up about the fact that ‘you haven’t had a productive day’ that day. Writing these realistic lists is great because the feeling of self accomplishment really is truly incredible, and once you have reached all of your goals for that day you can RELAX!!! What is that word….. relax? I really haven’t done that in a while at all! Seriously. Buying myself some new stationery (Yes, I spelt it right, THANKS BECKY) has a huge impact on how I feel, mentally, when it comes to getting my head down to work. Probably because I’m a design student, and brand new pens make me smile like a moose, but let’s face it, I know many many people that are also suckers for a brand new set of Sharpies, in every colour of the rainbow. Do moose’s even smile? I have no idea why I said that. . . So, what did I do recently? I did a rather large stationery haul on Amazon, and treated myself to all sorts of pens, calligraphy pens, watercolour pens, all sorts just to get myself in the creative mindset for my degree, but also my blog I guess. I have felt SO UNCREATIVE at the moment, but it is amazing what a pack of pretty pens can do. I mean, hey, you need a brand new set of pens to write out that to do list of yours! There is always a reason to buy yourself a new shiny pack! Hope this post helps any of you lovelies that may be struggling to manage your life! 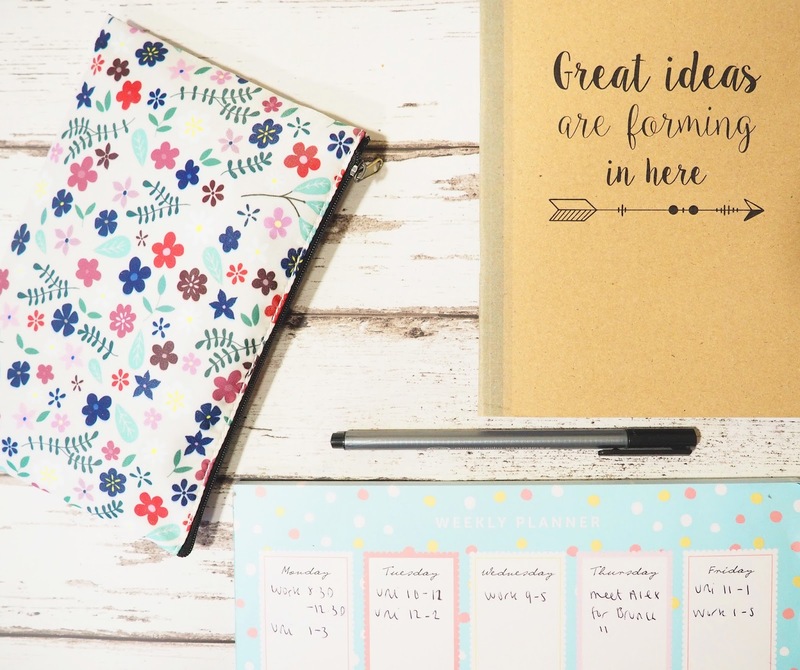 These tips are generally making my life and mind more organised, with both uni and my blog. HEY I have managed to upload TWO posts this week and a VLOG! I am totally, completely impressed with myself over here… I won’t lie! If you are struggling at the moment, we can be strong, we will get through this, I have every single bit of faith in you all. Stationery probably motivates me more than anything especially when it's new and cute and adorable! Your life sounds hectic just from reading this post, I can't imagine living it, but props to you! I think we all say we struggle when in actual fact we just make the best of the situation we are in! It can definitely become overwhelming when you have so much on in every aspect of your life. I'm sure your creative juices will start flowing soon – maybe up your game on the whole hair washing? 😉 I think the point about be realistic is so important – you're much less likely to feel disappointed in yourself. Well done with it all! I always feel like a billion times more organised and sorted when I have a realistic list written in a new pretty notebook with a sparkly gel pen. Why not?! Haha! Keep up the hard word girl! Weekly planner are great! I love them. Love this post! I like to think that I'm an organised person but I'm not haha!